We started to dig into why we heard that so much, and the answer was clear—there are way too many myths about credit unions out there! We searched for the most popular misconceptions about credit unions, and what we found surprised us. It’s time to bust all of those credit union myths! Check out our other hit eBook 40 Ways to Save When You’re Terrible at Saving! In this free eBook, we dispel myths about credit unions that we’ve heard for years! There’s no difference between banks and credit unions. Credit union rates are higher than banks. Credit unions only offer savings accounts. Your money isn’t protected at a credit union. Credit unions aren’t regulated by the government. 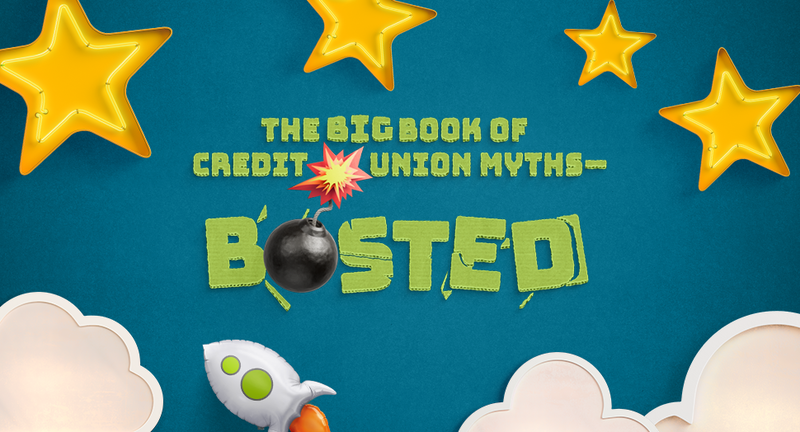 Click the button below to read our free eBook The Big Book of Credit Union Myths—BUSTED!